You may recall earlier in the year we teamed up with Your Closet dress hire, Beyond Hair by Justine Maggio, Jules Cachia make up artist and Shots with Carolin Photography and ran an instagram competition to give 2 lucky winners the ultimate style make over. 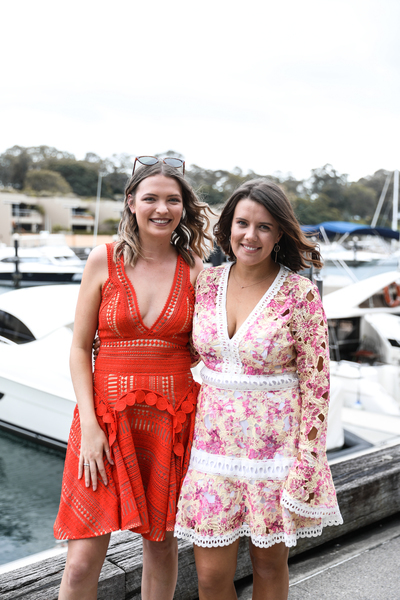 The winner of the competition was Bec Horne and she decided to use the experience with her bestie Monica Bloor to get dressed up and look their best for a long lunch at Woolloomooloo last month. 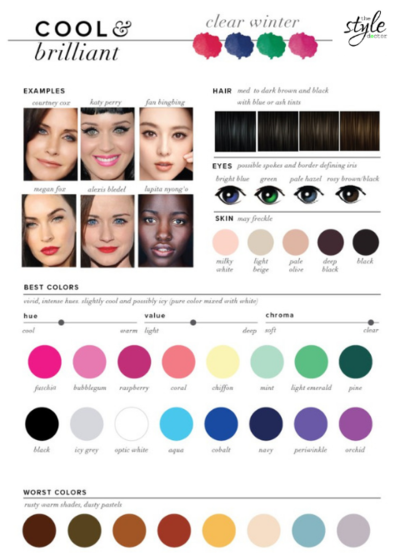 Once we had confirmed a date I sent both Bec and Monica the Style Doctor Style Report questionnaire so I could get to know their hair colour, eye colour, skin tone, body shape, size and what their event was. 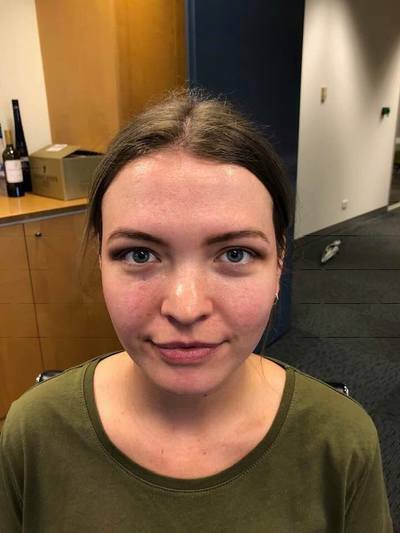 We then met up at Your Closet dress hire in Neutral Bay on a Thursday night after work and I already had dresses aside for both women to try on that was carefully selected to suit their shape and colouring. Firstly, Bec has an apple shape figure with a large bust so I wanted to find a dress that was flattering across her bust but still fitted through the waistline. (Style tip: if you have a large bust v neck, scoop necks, wrap styles work best as they open up the neckline and are flattering across the bust. Also try and keep clothing fitted because large busts can make you look bigger than you are). She had dark hair, blue eyes and medium skin which is winter colouring and we decided a Talulah printed dress was a great style and a nice print which worked so well on her. The print had yellow, coral and white which were all in her colour palette. The flared skirt style dress also balanced out her bust which accentuated her best feature and was so flattering on her. For Monica, her shape was a slight pear shape and her hips and bottom are wider than her shoulders so some straight dresses would fit her in the shoulders but be tight across her bottom so we decided a fit and flare style dress would work best on her. (Style tip: if you are a pear shape choose styles that flare out or are looser across the hips and bottom and draw your eye up. Wearing darker down the bottom and light up top or wearing one colour is great on pear shapes). 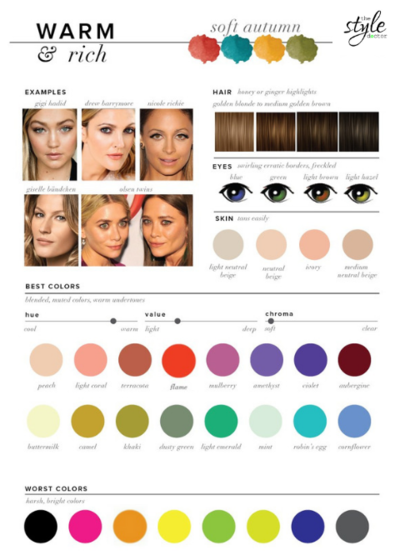 Monica has light brown hair, fair skin and blue/green eyes so her best colours are the Soft Autumn colours. We decided on the Thurley ‘Hayley’s comet’ dress in mandarin as the colour and style was perfect for her. It was an orange based red which suited her because it was more red than orange (orange and yellow/orange wouldn't have suited her). We booked in both dresses with Your Closet and they were delivered to the women 2 days before their event. On the morning of their event they had their hair and make up done so they looked and felt amazing at their lunch. Both their dresses were spring looks so Justine from Beyond Hair by Justine Maggio decided that a blow dry with soft curls would work best for both women. 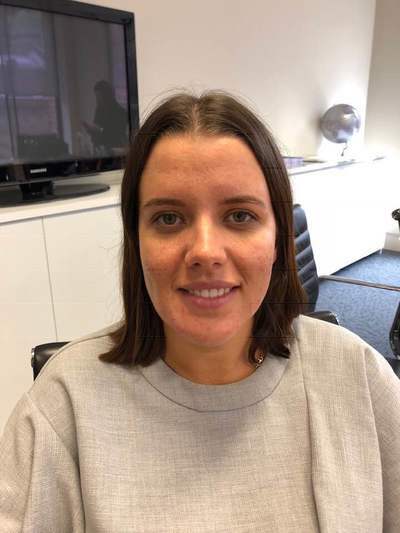 Since the event was a day event Jules Cachia from Jules Cachia make up decided to do really natural looking makeup by starting with a flawless skin look. Since both their looks had a lot of colour they didn’t need a lot of eye shadow or a really bright look as the colour came from their dresses. Carolin from Shots with Carolin then met up with them to take a few photos of them looking amazing before they started their lunch. We think the women look so stylish, and we also think they look confident and so happy which is how we hope all our clients feel after a styling experience. If you would like to book a styling experience or a full make over, please consult The Style Doctor.